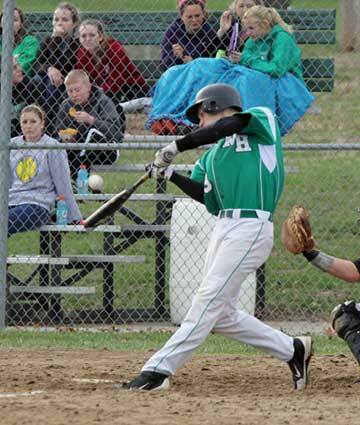 Kyle Ruediger leads the team in hitting with a .304 season average. NEW HAVEN, Mo. - In New Haven’s (2-7) last three games they’ve committed 12 errors and have gone 9-68 from the plate, striking out 35 times and one of Coach Jim Scheer’s biggest concern are the 15 times they’ve struck out looking. On a positive not for New Haven has been their pitching with the exception to a hitting clinic Sullivan put on in Monday’s loss, racking up 16 hits in five innings. In both losses to St. James and Union the key factor was the four runs in each game being unearned. 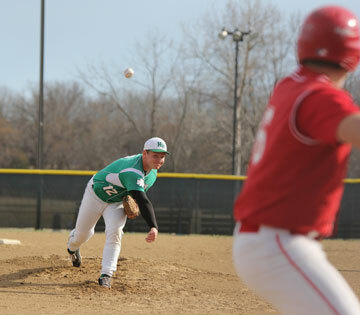 After beating St. James in the Four Rivers Baseball Classic 4-3 two days prior, New Haven’s Garret Schoenfeld was a workhorse on the bump, throwing a complete game, giving up eight hits, walked three, and struck out five but got little help from his defense as all four runs were unearned. St. James three run rally in the second inning began with Schoenfeld hitting the leadoff batter. Then with two on and no one out an error would lead to the Tigers scoring three runs in the inning. New Haven would get one run back in the third after Cole Lensing would knock a one single then eventually score making 3-1. In the same inning after Ross Seitter reached on by an error and Schoenfeld drawing a two out walk, Tyler Stroble would strike out looking to end the inning. In the fifth inning St. James would score off an error in a play that would have ended the inning. But New Haven’s two out rally would end after Brandon Carey went down swinging and the 13th strike out recorded by St. James. HITS: Cole Lensing, Cameron Pritchett, Tyler Storble. Coach Scheer couldn’t have asked for a better outing from Ross Seitter, throwing a complete game, striking out five, allowing no earned runs off six hits and no walks. Union scored one run in the second inning after Seitter retired the leadoff hitter and after giving up a single, the following hitter reached on base off a ground ball hit to third and off the glove of Cameron Pritchett, which eventually would lead to Union scoring one run. 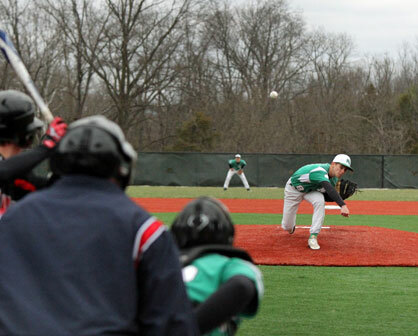 While New Haven’s defense provided Seitter with little support, the Shamrocks continued struggling at the plat, striking out 14 times, scoring just one run off three hits.